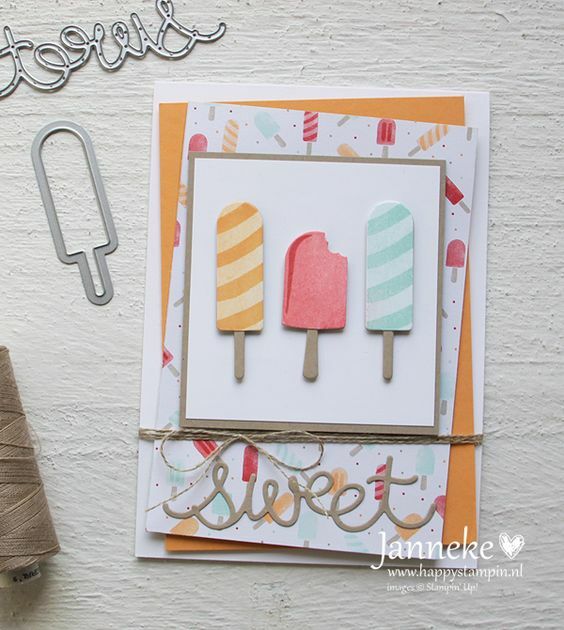 I am so thrilled to be taking part in another one of the fabulous Crazy Crafters blog hops with a fantastic designer Janneke de Jong! Her work is absolutely A-M-A-Z-I-N-G. 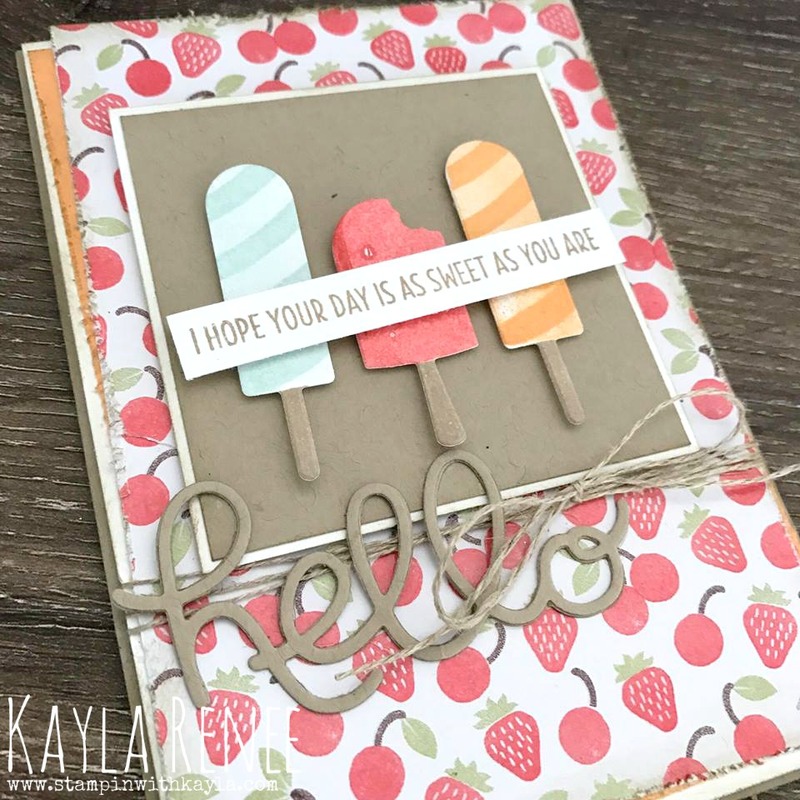 I had such a hard time just choosing ONE, but I stumbled across this recent card of hers and was immediately drawn to it, not to mention I had not yet had a chance to ink up this stamp set so what better excuse? Isn't it such a sweet card? 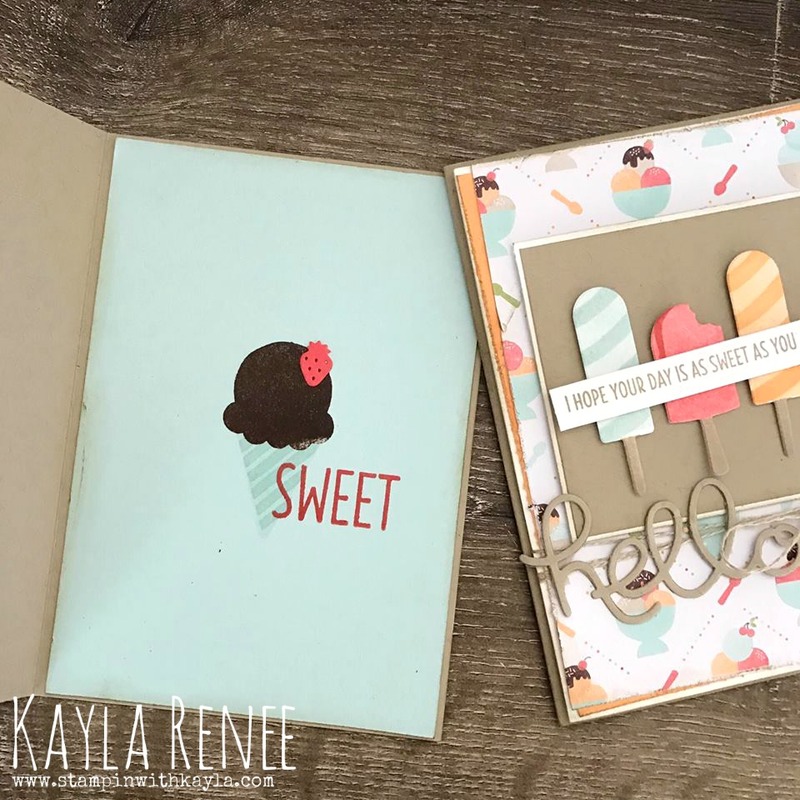 I have pretty much kept to the layout, colours, product suite and just added some 'Kayla' touches. 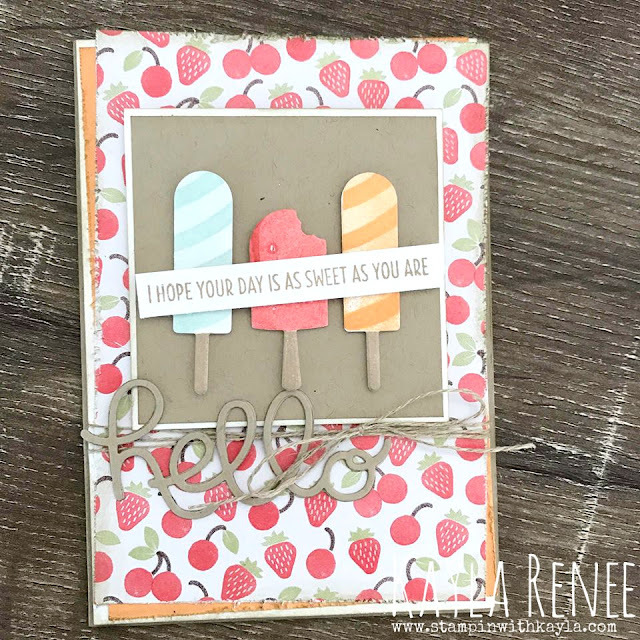 I really want to make more as I think these will be perfect RAK (random acts of kindness) cards to send out to some lovely friends. Here's a look at both of the cards I made together. I couldn't choose between these two patterned papers designs so I just made TWO! This card uses the designer patterned paper that is speciality as it has some gorgeous glossy fruits that gives it a really nice shine. I love the tiny little cherries and strawberries! I also loved the paper with the gorgeous ice cream bowls. Who doesn't love ice cream? Well you would have to, to love this suite! Of course it would not be complete without something on the inside. I used the little strawberry thinlet and some chocolate chip ink to create a chocolate ice cream treat on the inside. How fun! 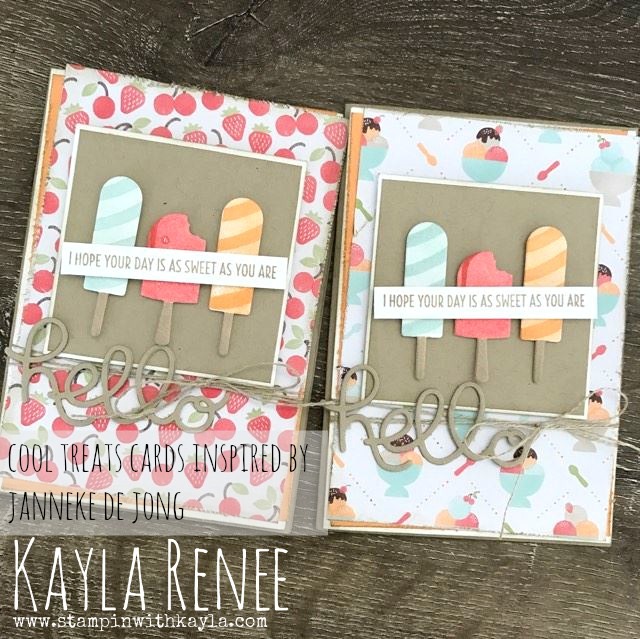 I really hope you enjoyed a look at my cards that I cased from the amazing Janneke! Follow along here to see everyone else's cards that participated in the blog hop. There is some amazing work with our amazing team! Thanks for reading along today.